TCI Powder Coatings Hires Dale Blackwell! 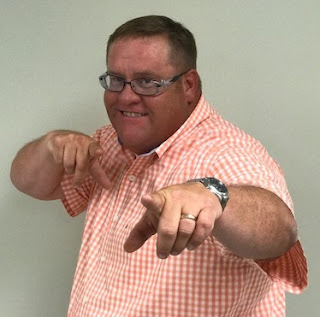 TCI would like to welcome Dale Blackwell to his new position as Director of Manufacturing. Dale is originally from Tennessee, but has been in Covington, GA for the past 10 years. He officially joined us and relocated to the Americus area with his wife and their two boys on May 1st. Dale earned a degree in Chemistry from Lambuth University, where he also played football. He has spent the last 16 years with Valspar Corporation managing various powder manufacturing locations. Prior to this, he worked for Drexel Chemical Company and for A&L Analytical labs. In his free time, Dale is an avid fisherman and enjoys watching his sons play ball. We look forward to having him on the TCI team! See the full press release here! 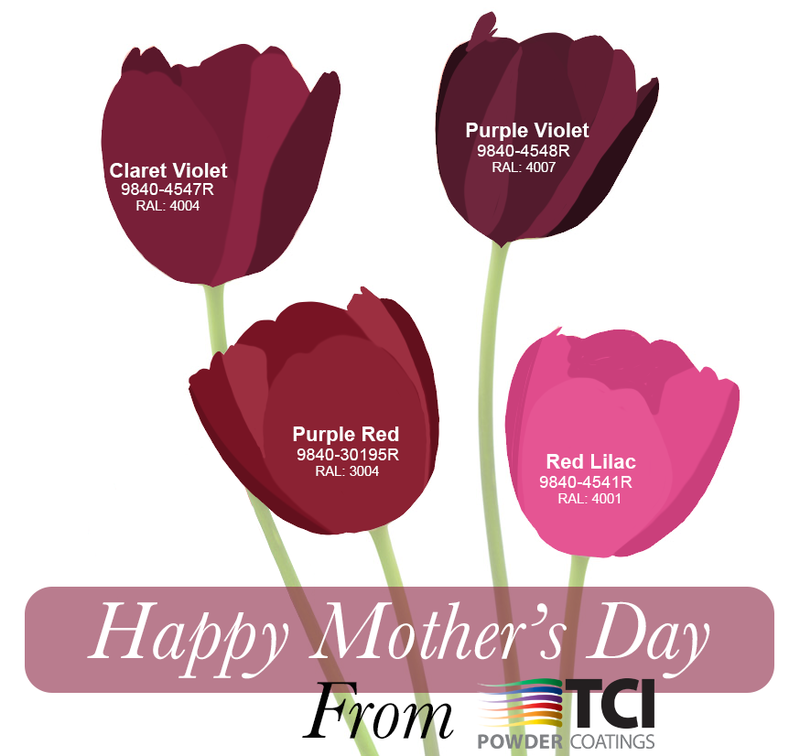 TCI Wishes you a Happy Mother's Day! 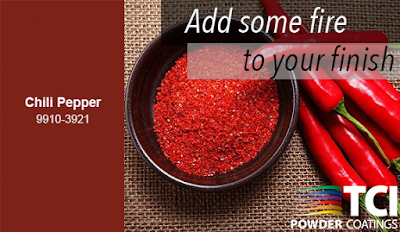 Add Fire to your Finish! Looking for a coating that brings life and vibrancy to any part? TCI brings a broad spectrum of colors to the table, giving you many selections to choose from, even unique and rare hues that can be hard to find. This month, we’re featuring Chili Pepper! This color is perfect for when you are looking for a high gloss, RAL red. This coating is great for outdoor applications with a high need for durability, such as rims, playground equipment, and hand railings! For more information on TCI Powder Coatings’ powder coating lines, visit our website here.